The population of college-bound students is on the decline. The cost of tuition is growing increasingly unaffordable for many families. And endowment returns are expected to decrease. It’s enough to make even the richest university in the world sweat, a bit, under the financial pressure. Harvard University ended the 2017 fiscal year with a $114 million surplus, $37 million more than last year, due primarily to money it saved by refinancing its debt, officials said on Thursday. But the university’s financial chiefs cautioned that the surplus may reflect a “high-water mark” for the foreseeable future — a sign that the financial disruption experienced by universities and colleges across the country is hitting the biggest brand in education, too. Many smaller, less wealthy institutions are offering steep tuition discounts through financial aid in the hopes of attracting students on campus. Some have closed, and a few have merged with other schools. Recently, Wheelock College, a 130-year-old Fenway neighborhood institution, agreed to be folded into its much larger neighbor, Boston University. 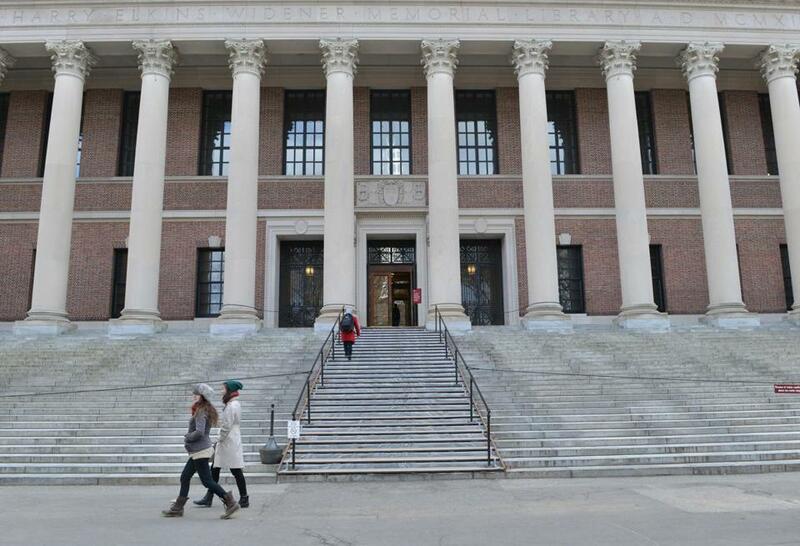 Harvard and its peers aren’t in any danger of going out of business, higher education watchers and analysts said. But even elite universities are being forced to adapt to the changing economics or risk losing out, said Jeffrey Selingo, an author on several books about college and special adviser at Arizona State University. The price of a college degree continues to rise, even as family income growth has been sluggish. According to the College Board, the net tuition, room and board for a student, after grant aid and tax benefits are considered, to attend a public, four-year university increased 2 percent to $14,940 this year from $14,670 in 2016. At private, nonprofit universities the annual price of attendance was up 3 percent to $26,740 from $25,940 last year. Nationally, the average sticker price for private, nonprofit universities — often published on their websites — is nearly $47,000. However, at some local institutions, such as BU, the price of attendance exceeds $68,000. The cost of attendance at Harvard in 2017 was $65,609 — before financial aid. As prices climb, even premier universities are worried that they will have to spend more in financial aid to help students afford their degrees, said Charlene Butterfield, a director in the US higher education group for S&P Global Ratings, which evaluates colleges for borrowing purposes. Meanwhile, universities also feel the pressure to invest those dollars to refresh their buildings, boost their in-demand science and engineering programs, expand their research, and hire top-notch faculty, she said. At Harvard, deans and administrators are increasingly focused on containing costs, including watching their hiring of staff that may not be critical to the university’s core goals of teaching and research, officials said. Last spring, for example, the School of Arts and Sciences cut its graduate student admissions by 4.4 percent after Harvard’s poor endowment returns reduced the amount of money it received to help offset tuition costs. In 2016, the University of Chicago laid off some administrative staff and required academic departments to tighten their budgets by 8 percent, despite an $8 billion endowment and campus construction projects. This past week, the University of Wisconsin-Madison said it was reviewing a proposal to suspend graduate admissions to its business school for a year, while reviewing the program in the face of declining applications nationally to full-time MBA programs. Large universities are also concerned about how they can maintain and grow their endowments, Butterfield said. The Harvard Management Co. Inc. reported that the value of the endowment increased by 8 percent last year to $37.1 billion, up from the 2 percent decrease in 2016. Still, Harvard’s returns were lower than many Ivy League institutions, and it is in the midst of a shake-up after posting several years of weak results. In the year ending June 30, the endowment took a $1 billion loss in the value of its natural resources portfolio, which has included timberland, wineries, and even farms in far-flung places around the world. Still, Harvard’s situation is far from dire, buffered by the largest university endowment in the world, generous donors, and a reputation that continues to draw students, researchers, and investors. Harvard continues to renovate its buildings and construct new ones. It provided $414 million in financial aid to students, and its fund-raising campaign has brought in $8 billion from donors. But it is also pursuing strategies similar to other universities to bolster revenue. The university is leaning on continuing education and executive education programs, which rely less on financial aid and scholarships, to help increase the money it makes from students. Between 2015 and 2017, the income Harvard generated from undergraduate students increased by just 7 percent, and graduate degree programs brought in 11 percent more revenue. But revenue from continuing education programs jumped by 19 percent during that period, from $345.5 million to $410.7 million. Nationwide, higher education institutions have been expanding their nondegree, credential programs, according to Moody’s Investors Service, a rating agency. From 2000 to 2014, community colleges more than doubled the credentials they issued, four-year public universities have tripled the credentials issued, and private universities have grown them by 62 percent. “By offering new ways of obtaining education and expertise, colleges and universities can attract a new cohort of students and earn incremental revenue . . . amid a relatively flat number of high school graduates and higher education’s constrained ability to raise tuition for traditional programs,” Moody’s said in September in an analyst’s note. The question facing Harvard and the country’s other premier universities bracing for changes in the higher-education market is simple, Selingo said.